Reshma Rajan, who shot to fame through Angamaly Diaries, was working as a nurse in Kochi before foraying into films. 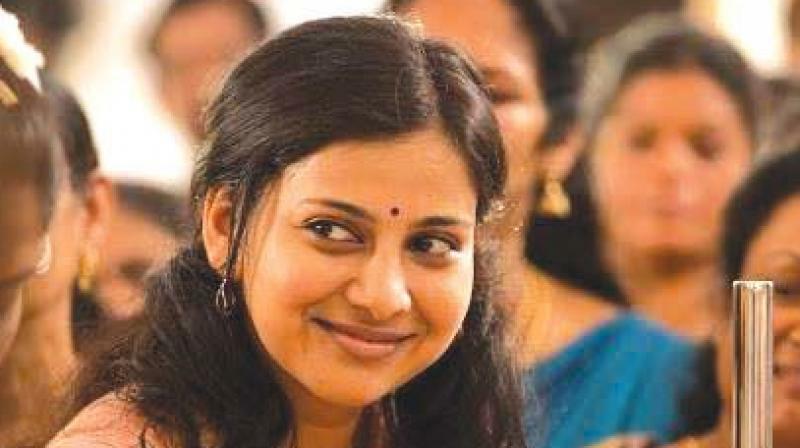 Reshma Rajan was content doing her duties as a nurse at Rajagiri hospital in Kochi when she was called for the audition of the Lijo Jose directed Angamaly Diaries. Suddenly the nurse was catapulted from the sterile walls of the hospital room to the bright arc lights thanks to the much loved character Lichi of Angamaly Diaries, who is coincidentally also a nurse. Her nurse uniform has now been kept aside, caught as she is in the whirlwind of promotions and success meets of her debut film. Much like Lichi in Angamaly Diaries, Reshma talks nineteen to the dozen. She speaks about signing on the dotted line for the first time, “I was one among the many whose faces appeared in a hoarding all over Kerala. Lijo happened to see the hoarding and thought I was apt for the role.” Zeroing in on her was the easy part but contacting Reshma proved to be very tough. Several attempts to find her number proved futile till someone informed that she was a nurse working in Rajagiri. Reshma quips, “The producer Vijay Babu joked that they were planning to hold an identification parade of all the nurses at the hospital to find me!” Unaware of the hunt going on, Reshma was pursuing her dreams of a nursing job abroad and planning to settle there with her family like what most nurses aspire to. But then her life changed with that single audition. Reshma also faced some opposition from home as most of her family members were settled abroad and her family too wanted that. It was the support of her friends that pushed Reshma to take a risk and attend the audition and subsequently sign on for the film with a cast of 86 new faces. She was understandably nervous and tense on the first day of her shoot about which she explains, “I went on the sets with just three words ringing in my ears — start, camera and cut. Then I saw a whole sea of people there. My first scene was shot in a church where the hero and me were praying. Nobody said any ‘Start’, so I just raised my hands and started praying fervently. The next thing I heard was someone telling me to walk backwards slowly and then I realised the shot was being filmed!” When the first shot was okayed, Reshma saw it as a good sign coupled with the initial shot being canned in a church. Lijo proved to be very supportive and cool and Reshma credits him with utmost patience. Reshma says, “Since the entire cast was new; we were all supportive of each other.” Lichi and Reshma share a lot of similarities except, as Reshma quips, “the drinking part”. Though a lot of offers are coming her way, Reshma is taking her time to decide.